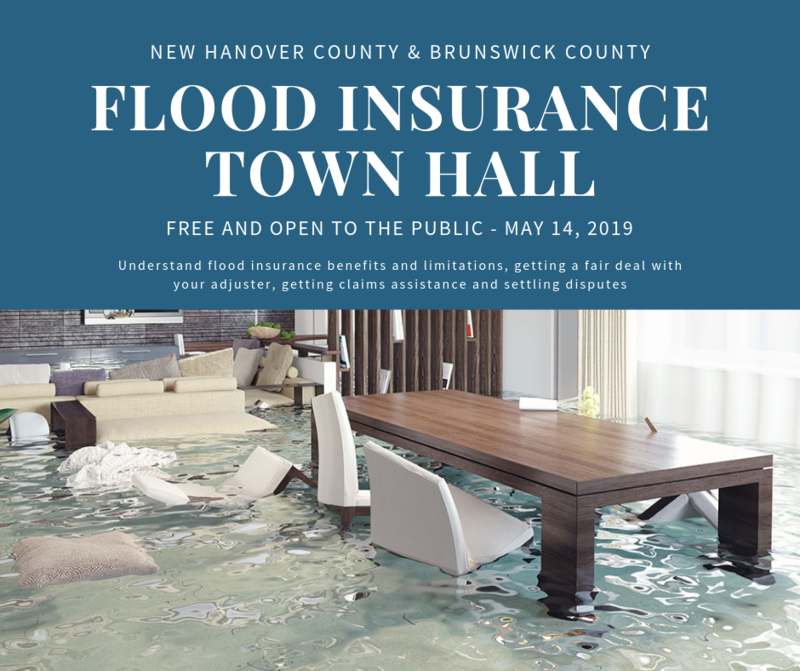 As hurricane season approaches June 1, North Carolina Insurance Commissioner Mike Causey is initiating efforts to educate residents about the need to purchase flood insurance and disaster relief by scheduling community town halls across the state. The first two of five town halls have been scheduled on the coast – the area hardest hit by last year’s Hurricane Florence. After seeing the flooding devastation in the aftermath of Florence, Commissioner Causey learned that fewer than 135,000 North Carolinians – in a state with more than 10 million people – had flood insurance policies and, as a result, realized it would be difficult for them to recover. In an effort to alleviate future suffering, he reminds North Carolinians that standard homeowners’ insurance policies do not cover flood damage and is encouraging residents to purchase flood insurance. Dr. Michelle Osborne, Chief Deputy Commissioner of Insurance, will conduct two public town hall meetings in coastal counties Tuesday, May 14, 2019. A town hall meeting will be held in New Hanover County beginning at 10 a.m. at the BB&T Auditorium, Cape Fear Community College, North Campus, 4500 Blue Clay Road, Castle Hayne, NC. Later in the day, a town hall meeting will be held at 2 p.m. in the Brunswick County Board of Commissioners Chambers, located at 30 Government Center Drive, NE, Bolivia, NC.